Wolf Schweitzer, MD is a Swiss board-certified forensic pathologist. He obtained his board certification in 2001 (FMH, Switzerland), and his doctorate in 1994 (Medical Faculty, University of Zurich). He worked in pathology (1995-1997 at the Institute of Pathology of the Cantonal Hospital Thurgau in Muensterlingen, Switzerland), clinical medicine and surgery (1994-1995 at the Ospidal Scuol d”Engiadina Bassa, Switzerland) as well as in forensic medicine (1992-1994 as well as from 2002 until now, at the Institute of Forensic Medicine of the University of Zuerich, Switzerland; 1997-1998 at the Victorian Institute of Forensic Medicine in Melbourne, Australia; 1998-2002 at the Institute of Forensic Medicine of the University of Berne, Switzerland). His research grants include funding obtained by the Ciba Geigy Jubilaeumsstiftung and of the Swiss National Research Foundation (both 1997-1998, sole applicant) and of the Gebert Ruef Stiftung (2000-2002, co-applicant). He obtained research poster prizes 2002 (German Society of Legal Medicine) and 2009 (International Academy of Legal Medicine). In 2017, his cooperation project with the Knowledge Visualization Department (Niklaus Heeb) of the ZHDK (Zürcher Hochschule der Künste, Zurich University of Arts) resulted in a Bachelor of Arts diploma of Eloisa Aldmomar upon which the student was awarded the 2017 Förderpreis (advancement award) by the ZHDK directors. He is a Founding Member of the ISFRI (International Society of Forensic Radiology and Imaging). His professional interests cover the application of post mortem imaging, the application of statistical methods, the application of visualization methods and quality accreditation, certification and management. 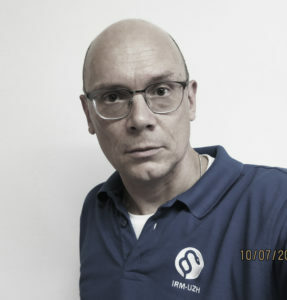 Founding member of the International Society of Forensic Radiology and Imaging (ISFRI), member of the Swiss and German Society of Legal Medicine (SGRM and DGRM).